Ronnie Amadi is 1/2 of the global twin duo of R & D Production. Amadi was born in South Carolina but lived his early childhood in Nigeria. Amadi grew up in Houston Tx where He was a standout athlete in football and track. For his amazing performance in high school he received athletic scholarship to University of Kansas. After graduating University with an Economic degree, Amadi pursued football as a career. He played arena football and Canadian football. In 2010, Ronnie found interest in Modeling because of several friends told him he needs to be modeling and not playing football. Luckily he took their advice and pursued it. 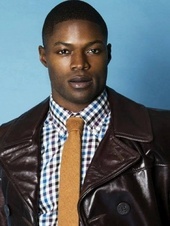 Now Amadi is taking over in the modeling/acting industry by bringing his diverse look that demand attention. With his busy schedule, which includes, modeling, hosting parties, fitness competition, personal training and various community efforts. Amadi is ensuring to continue and make a major thriving force in the entertainment industry. Hurry and book me before my schedule gets full! Serious Business Inquiries ONLY Please! Thank you. Worked with Ronnie Amadi Model? Share your experience and become verified! Hey what's up add me on the following links to keep up with me for future castings, gigs, etc.. In the past ten years I have worked with hundreds of models for fashion, beauty, and commercial intimates work and put their faces and figures into mainstream magazines and stores in every mall in the country! I will be in Houston next month and will host a workshop on 2/20/13. Don't miss this opportunity to work with an internationally published fashion and beauty photographer. Hair and makeup will be provided, photo and video packages start at $150. Message me or see my travel notice for more info.